Thank you to our clients below for taking the time to express your thoughts. "We have received nothing but positive feedback regarding our website. Thanks to Matt Peterson and MIAGD we have a modern, sleek and effective tool in our marketing toolkit. From ordering to going live the process was smooth and effortless. Thank you!" Nicole M. Butler, FPQP™, Nautilus Financial Group, Inc.
"My practice is off to a great start, I usually get several inquiries each week and have a bit of a backlog of planning work, which I largely attribute to the great website you helped me design. Thanks." "Thank you MIAGD, AdvisorFlex Websites and Matt Peterson for the great job you did on our Website. You were great to work with and exceeded our expectations. We appreciate your quick responses, creativity, and expertise in creating financial advisor websites. You helped us express our message in a way we could never have been able to do alone. We now feel confident our website uses the latest technology and is industry compliant . We highly recommend Matt and his firm to anyone looking to create a great advisor website." Bob Ellis, Managing Member, Ellis Wealth Advisors LLC. "Matt, thank-you for your recent work on my website. I’m really happy with the upgrade. A few years ago, I was looking for a website developer and ran across your company. When I saw your website, it had the look, feel and functionality that I was seeking for my own site. I figured that you must be able to design great websites as well! I have been very happy with my initial AdvisorFlex site, but I wanted to make sure that it was up-to-date and mobile friendly. I think the update will be a big improvement for my visitors who use smaller screens to access the internet. I love the clean, crisp appearance which brought me to Make It a Great Day in the first place. The migration process was also a breeze and you have been very responsive to my needs. Thanks again!" "Thanks so much, Matt. I wanted to let you know that DFS recently made the Financial Times list of top 300 RIA firms. One of the criteria the used to evaluate was web presence. So I have no doubt that we never would have been able to achieve this honor without your help in designing us such a wonderful site, so the honor is most certainly also yours." "I recently thought I'd try to save a little money by choosing a competitor of AdvisorFlex websites when creating a website for my new business. It was a mistake. Within a few days I was pulling my hair out trying to set up my site with very little support and a user interface that was very clunky and hard to work with. I ended up ending that relationship and calling Matt for help. Within a few days my site was up and running and I was more confident with the level of support he provides. The admin site is very easy to use after watching a couple short videos. I was able to do the hard work of building out my website without having to fiddle around with the competitor's clunky admin site. Thanks Matt! You made it as easy as possible!" "Thank you Matt. You have been a pleasure to work with. Your reputation and your company’s professionalism and excellence is well deserved. I will not keep you a SECRET to the Garrett Planning Network, NAPFA or the FPA. " "We have been clients of MIAGD for a number of years and have always enjoyed the prompt and professional service provided by Matt and his team. The exceptional quality of their service is equally matched by the product they produce. In a little over a week Matt and his team were able to take our old web site and migrate it to the latest Advisorflex platform with minimal intervention on our behalf. The new site is modernized, SEO optimized, and works fantastic with mobile devices of all shapes and sizes. Our thanks goes out to Matt and the MIAGD team for a job well done, on time, and on budget." "After six long months spent rebranding, we interviewed five different developers to find one who could recreate a pre-existing award-winning design. Matt was the clear choice from day one. No one else could come close to matching the look and feel of the original, and we had tens of thousands of dollars invested in rebranding and design. Beyond that, Matt even went as far as to help us refine the layout so that the site was intuitive and user-friendly. I can honestly say that we couldn’t be happier. If you’re looking for world-class service, superior technology and proactive support, look no further." "Working with Matt Peterson of Make It A Great Day (MIAGD) was a positive and refreshing experience. The process was cost effective, easy and efficient. The outcome was a customized and cutting-edge web site. 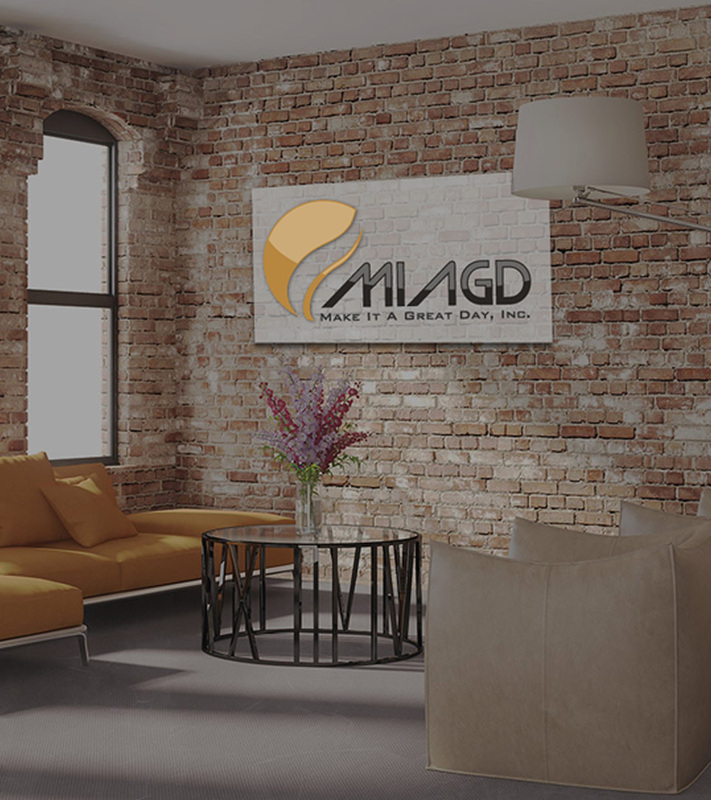 MIAGD was a one stop shop—AdvisorFlex for the development of our web site, AdvisorCopy for the copywriting / editing and ShareFile for the creation of our client vault. Matt was a pleasure to work with, quarterbacked the process from start to finish and MIAGD continues to provide personalized and responsive support. If you 're in need of a new web site—it doesn't get any better than MIAGD." "I have received a number of good responses to the website and I appreciate your help in the design and launch of Cascade Wealth." "I just wanted to thank you for the terrific job you did on our website. I've received several compliments about the look and feel of it. We could not be happier. As I meet other advisors, I will not hesitate to send them your way." "Matt did an excellent job in the design and creation of our website. We are thrilled to have a site customized to our needs and business that reflects so positively on our firm. I cannot tell you how many clients, prospects and referral sources have complimented us on our site. I’m also very pleased with the ongoing responsiveness Matt provides. He is quick to respond and any updates are completed almost as quickly as we ask for them. There isn’t even a comparison between our old site and provider. I highly recommend Matt and MIAGD." "Matt Peterson and the people of MIAGD have exceeded our expectations and are a pleasure to deal with. Their customer service and responsiveness are amazing! I feel very confident recommending Matt and his team as they truly do a great job." "I consider my decision selecting Make It A Great Day, Inc. as my web designer and email provider as probably one of the best moves I have made during the start-up phase of my new firm! Matt is terrific to work with and delivered my web site exactly as I had dreamed. The design process is so efficient and an incredible value versus other alternatives. Matt's focus on the financial advisor niche also permits him to deliver such a competitive advantage. I give my highest possible recommendation of MIAGD and will definitely be back with Matt in the future to add more services. The feedback I have already received from clients and prospects is nothing short of amazing!"